When the temperature drops, the first thing I crave is chili. The past couple of weeks have been in the high 20s, sometimes flirting in the 30s. 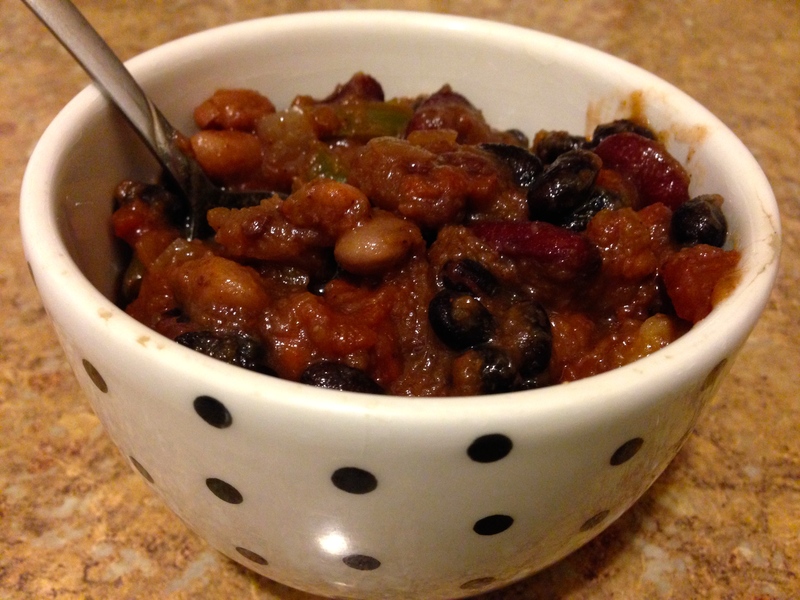 My standard crockpot chili recipe is a good standby, but I was interested in creating something different. Usually when I’m searching for a new twist on an old recipe, I turn to my Secret Recipe Club pairing for an idea. Serena and Deanna over at a Teaspoon of Spice did not disappoint. For this month’s Secret Recipe Club I got paired with Lisa from the Authentic Suburban Gourmet. Lisa is born and bred in the San Francisco Bay Area and loves to cook and eat (who doesn’t?!). Like many of us bloggers, she leads a double life. Corporate by day, blogger by night. 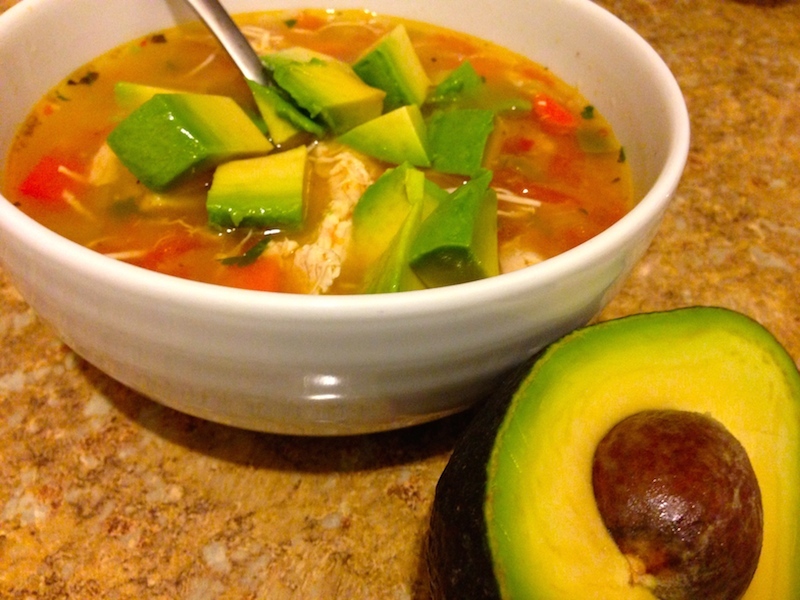 Scrolling through Lisa’s blog I couldn’t help but drool. Her recipes all look amazing; I had a hard time choosing just one. I especially loved Lisa’s collection of Friday Night Bites with recipes like Mini Grilled Cheese with Jalapeno Apricot Relish or Apple, Gorgonzola and Pecan Salad on Endive Leaves, but I was really in the mood for a full meal. 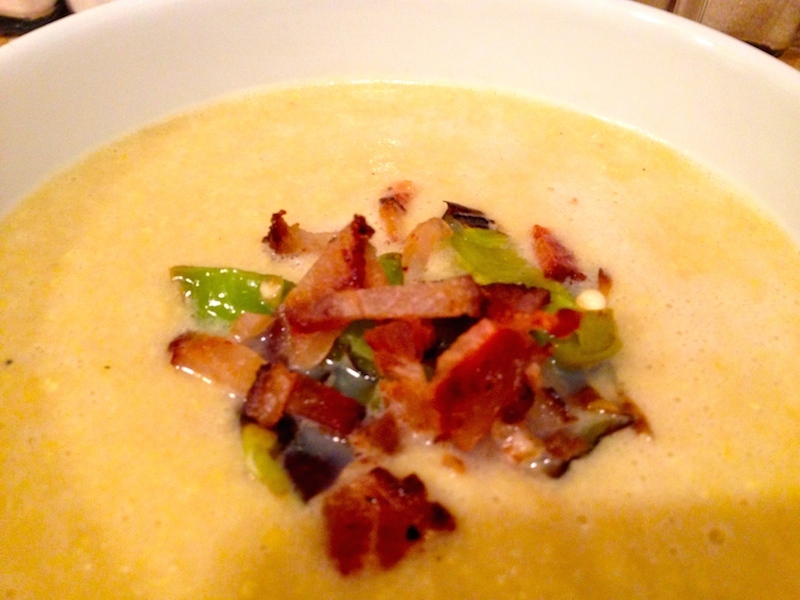 When I saw her Summer Corn Soup, I couldn’t resist. 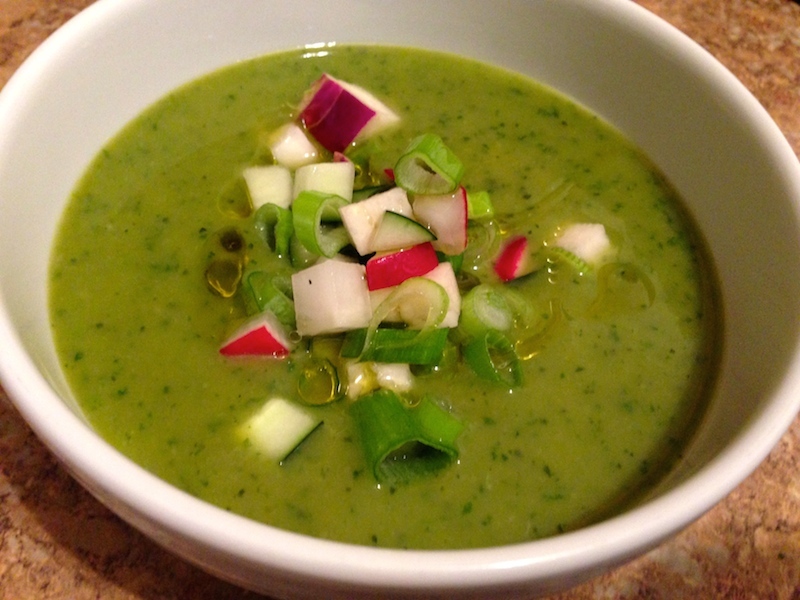 The last few weeks I’ve been inundated with summer squash. I made the mistake of picking some up at the Greenmarket a few weeks back, knowing I had a CSA share to pick up just a few days later. It just looked so good. I grilled some and figured I’d go though the rest in no time. Apparently not. Thanks to some schedule swapping to accommodate our trip later in the fall, I just picked up 3 straight weeks of CSA shares, all chock full of squash. I love the stuff but this is getting a bit absurd. Over the past few weeks I’ve gotten pretty creative, as you’ll see in some upcoming posts. For the longest time chestnuts have been somewhat of an anomaly for me. I love their subtle, nutty flavor, but have enjoyed them in dishes at restaurants, never at home. 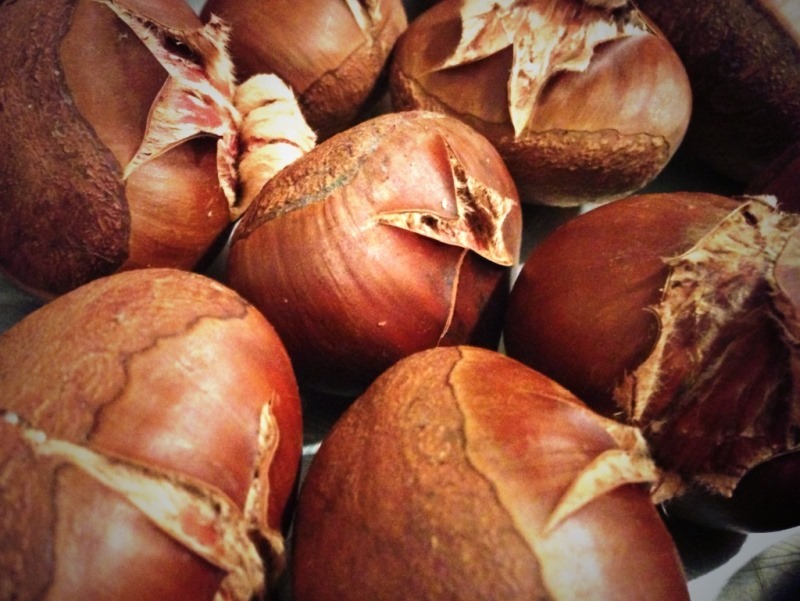 During the holidays, supermarket shelves are packed with canned and jarred chestnuts, begging you to “buy me!”.